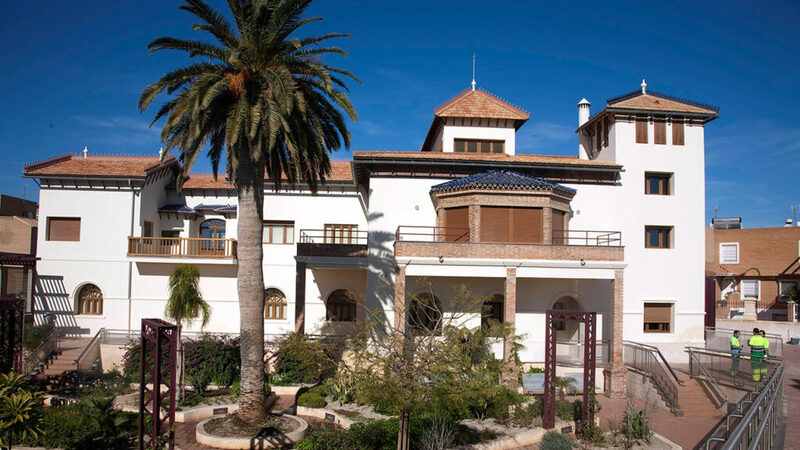 It is an old farmhouse where home-elesplendor the world of celluloid recalled in Almería. Dated in 1866 built on the outskirts of the city, remodeled and enlarged in the twentieth century, and its first inhabitants the Balmas family and descendants. In the House of Cinema, which has been restored respecting its original structure, it is made special mention of the unforgettable artist who lived a short but intense period in the house: the leading member of The Beatles, John Lennon, who rolled in Almeria in 1966 the film How I won the war, inspired by these walls for one of his most famous compositions: Strawberry Fields Forever. The restoration of the building is the architect Ramón de Torres, being the same cut of Gongora or Fischer cottages: Luxury gazebo, large garden with pool, tower-dovecote … have been recovered from the gardens of romantic, with arches and climbing roses, araucarias and palms, as a place to enjoy water, smells and colors. Room 1. The visitors will find the entrance hall of the mansion, stay regain the splendor of their best days, decoration floor, the wainscoting on the walls, a stately air to talk about the original intention that he decorated this room, a space where we met the patriarch of the house that we will receive before a majestic fireplace, one of the emblems of the house, also known as tower House, House Balmas, Cortijo Romero or farm Santa Isabel. Room 2.Enters the exhibition and musealized space and visitor impact to a hologram which presents each of the characters who have gone through the house. In a treatralizado ambient sound, props, key figures in the history of the house will be combined with an emphasis on its architecture, its tenants and the socio-historical context of the time. Paneled area where the operation of a film is presented through its most important components: extras script, interpreters, specialists, directors of theaters … There is a scenic theming with audiovisual devices and characterized characters. 3D room. a 3D movie where they had celebrated runnings place, locations, both in the city and in the province is projected. It rolls. 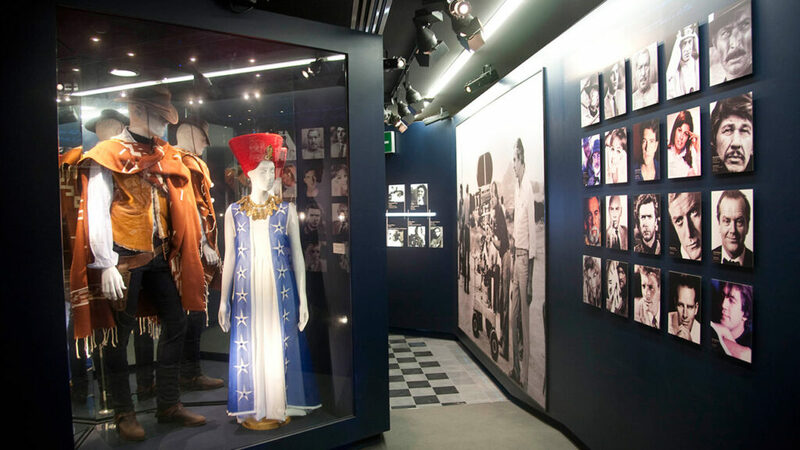 Upon entering the room the filming of a movie will be perceived, the visitor will be starring in several famous scenes with great characters in the history of cinema. Chroma scenarios. Gallery scenarios of the most important films shot in Almería. See reflected in a real scenario with its protagonists significativos.Se wheel. Upon entering the room the filming of a movie will be perceived, the visitor will be starring in several famous scenes with great characters in the history of cinema. Room 4. (Years 60 and 70) In this area a panoramic view of the characters who lived in the house, which was a source of inspiration or passed any season is observed. In the main hall which has a beautiful view, they will each movie characters who are celebrating a unique and anachronistic party: we will see characters from different movies and characters and varied artists, including David Lean, Yul Brynner and John Lennon. The lounge is a magical place. Enjoy it and then turn around and watch from the balcony the beautiful gardens of the house. 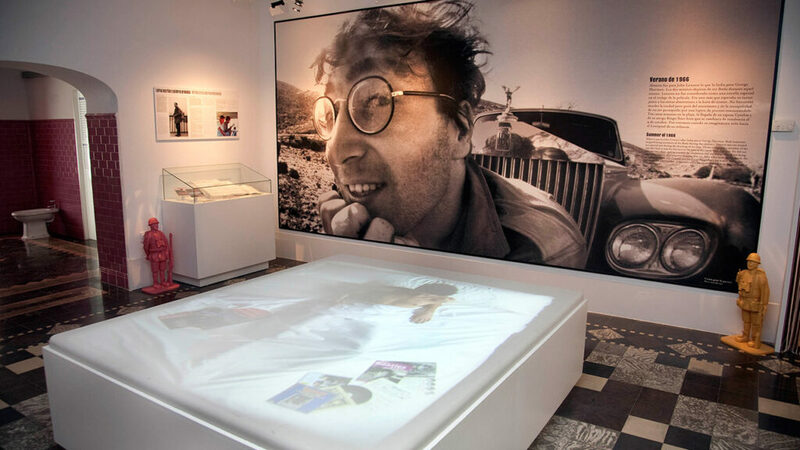 A trip back in time where it emphasizes his bed (fully functional and modern style Lennon) and his bathroom where the ex-Beatle created the composition “Strawberry Fields Forever”. In the living people, objects and places that had some meaning for the composer at the time, and especially its relation to recreate Almería.